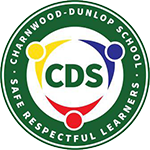 Charnwood-Dunlop School has whole school lunches, generally twice a term. These are conducted as part of Fresh Tastes and aim to promote positive health and good nutritional habits. Notes are sent home about lunches at least a week prior and there are also P & C fundraisers throughout the year. All funds raised from Fresh Tastes lunches go towards cooking groups, the schools vegetable garden and minimising the cost of the lunches. We cater for students allergies and dietary requirements and aim to make food as nutritious as possible while also being delicious. This is going through a trial stage and any feedback is welcome. The front office staff are able to direct you to the best Fresh Tastes team member to answer any questions or to pass on feedback. As we expand the idea parent or carer volunteers are really appreciated. The canteen space is also used for classroom learning, cooking groups, P & C fundraising and by after-school care.